Enhance your ability to diagnose and manage common hand and wrist problems seen in the ER and in your office. Gain confidence in the diagnosis and treatment of patients with acute and chronic wrist ligament injuries, hand and wrist fractures and dislocations, flexor and extensor tendon injuries, and nerve problems affecting the upper extremity. In addition this exam will improve your skills in interpreting radiographic images resulting in proper decisions regarding treatment of fractures and dislocations of the hand and wrist. 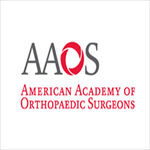 Developed in partnership with American Society for Surgery of the Hand. •evaluate, diagnose and treat patients with acute and chronic wrist ligament injuries. •interpret radiographic images and make decisions regarding the treatment of fractures of the forearm, wrist and hand. •evaluate, diagnose, and discuss treatment options for idiopathic, traumatic, and compressive nerve conditions involving the upper extremity. 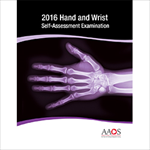 •interpret radiographic images and make decisions regarding the treatment of acute and chronic dislocations of the wrist and hand. •evaluate, diagnose, and treat patients with flexor and extensor tendon injuries involving the hand. •diagnose and discuss treatment options for pediatric and adult patients with compartment syndrome affecting the upper extremity.